The son of boxing legend Apollo Creed enlists his late father's rival and best friend, Rocky Balboa, to train him. (It's really about much more than that, but I don't want to spoil it). 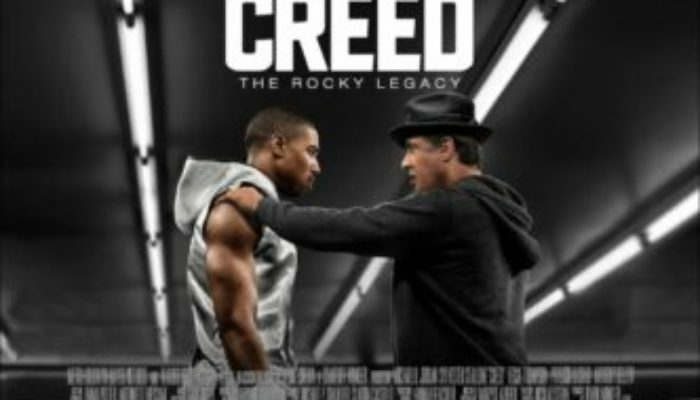 Creed is the first movie of the year that I wanted to go back and see the very next day. It's a solid standalone film: you don't have to have seen any of the Rocky movies to enjoy it, although it will make you want to go back and watch them. If you're already a fan it's a particular delight, shedding new light on everything that came before. In telling the tale of a young man trying to prove his worth, writer-director Ryan Coogler borrows heavily from the franchise playbook. The boxing aspects of the narrative are inescapably formulaic; fortunately the action is terrific and, as a character drama, it's compellingly original. Creed takes bold risks that pay off. Michael B. Jordan is stunning as the title character; he has the fire, steely glare, and charisma of Carl Weathers (the actor who played his father in the earlier films), adding layers of anguish, humor, and gentility. 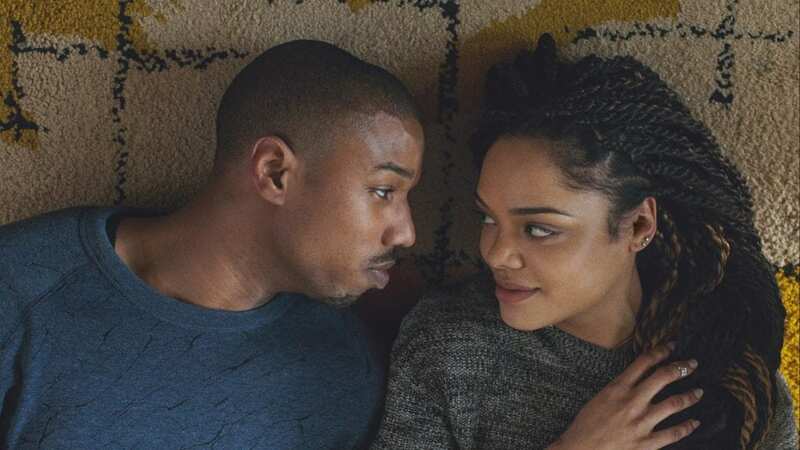 Tessa Thompson and Phylicia Rashad (as Creed's love interest and adopted mother, respectively) are given fully-rounded, intelligent, strong roles here; they're not the placeholder females typically found in sports movies. Some are saying that Sylvester Stallone has never been better and that a Best Supporting Actor nomination is certain. I agree with the latter, but not with the former, if only because he's always done his best work with this character. He's as great here as he was in Rocky, Rocky II, and Rocky Balboa. The quality of the film-making is apparent from the beginning; the bold use of cinematography and editing immediately draws you in. 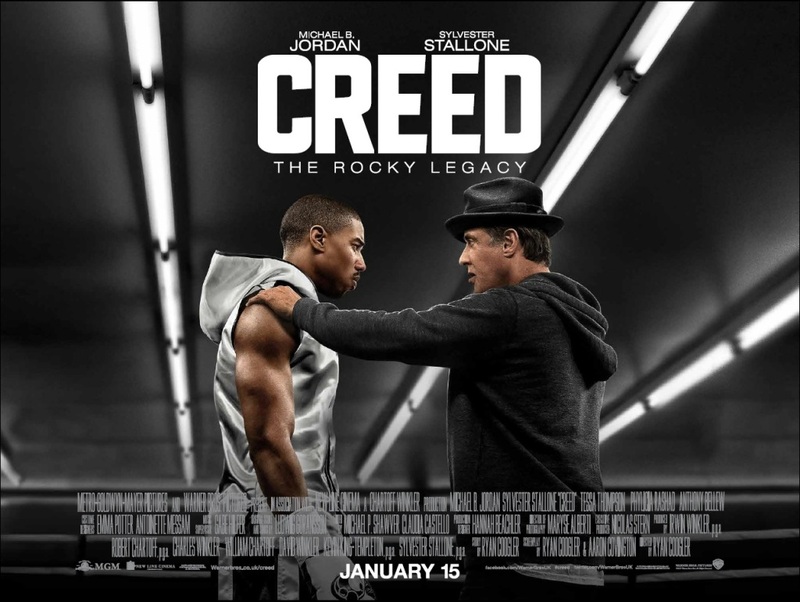 I love the music: composer Ludwig Goransson gives us a new theme for the character of Creed that blends perfectly with the judicious use of classic Bill Conti themes at just the right moments. It's the quality, heart, and intelligence of the storytelling sneaks up on you. What seems to be a by-the-numbers sports movie turns into something more, and the character relationships slowly grow to take on a beautiful significance. Creed left me wanting to be a better person; that's my favorite kind of movie. Creed is rated PG-13. It has one quickly spoken f-word and a handful of other profanities (“sh–,” “g–d-mn,”). An unmarried couple kiss on a couch; she sits on his lap, he removes her shirt (we see her back and bra strap), and the scene ends. There is plenty of hard-hitting boxing violence, with some blood and accompanying wounds. It's comparable in content and tone to the grittier first Rocky film than to the sequels. Talk less, listen more; as long as your mouth is moving you're not learning anything new. Don't punish yourself for anyone else's choices, including those of a parent. Your worth is determined by how you treat others and how hard you work, not where you came from. Take difficult tasks one step at a time. Courageously fight life's battles and you'll encourage others to do the same. Another powerful fight film from the past few years is Warrior. I highly recommend it.